My weekend car for the weekend, Abunai car. The story of how I came to possess the car is a good one for me. I was doing a shoot for a customer and he came up with a proposition. I was offered either payment in cash or the GTR for a weekend. It was a pretty easy choice and I made it on the spot, the GTR for a weekend. By chance the weekend happened to be a three day weekend. Here is my experience with the car. The key goes in your pocket and you do not put it into a normal ignition, the first clue that this really is a special car, that is if you did not know all the stats, price or the fact this is a hand made car. It is egg shaped and does not have any teeth on it like a normal key. The key fob had the normal lock unlock trunk and panic buttons. I developed a routine for starting the car up. I would get in and press the start button. It is like starting up a computer. When you press the start button the steering wheel unlocked, the indicator lights around the start button would go from off to acc (accessories) to on, firing the engine to life. I would unfold the mirrors (a manual switch), I folded them in to keep them from getting dinged (I would have to sell my daily beater just to replace a mirror on this thing). Next I would release the parking brake and put it into gear. The whole sequence I did made it feel like I was about to fire up a fighter jet and i was in the cockpit. The whole start up sequence takes less than 10 seconds. This brings me to my next point. There are a million buttons. The steering wheel has cruise control that was made up of two buttons on the right and flipper switch for setting the speed, accelerating or decelerating. On the left side of the wheel it has Radio controls, volume, source, and seek. Also on the left side are the phone controls, pick up and end. On the dash there are radio buttons and knobs, AC buttons and knobs, GPS buttons, Traction control settings, suspension settings, R mode switch, and a large touch screen LCD. Next to the cluster there is a knob to jog through the displays on the LCD. The display can show AC settings, radio, GPS maps, or a group of gauges on the screen like boost, oil temp, water temp, trans pressure and temp, AWD/RWD torque split, lateral Gs, acceleration Gs, braking Gs, speed, mileage (the best it displayed for me was 15.9 MPG and probably went to negative 5 when I was at full throttle), transmission gear info, and it goes on and on. Then there is an LCD on the cluster, it can display gas mileage, mileage to empty, driving time, speed, and more. The reason why I think it has speed in two places is because the needle is rather useless. It goes up to 220MPH (I did not test if it actually goes that high and my driving record thanks me) the speed limit on the freeway is barely 30% of the sweep and worse when driving on the streets, it barely moved. If you really want to get the most out of it and set up EVERYTHING in the car you can read the dictionary thick manual. The car is not really a four seater. The rear seats are just for show / insurance purposes. I am a big guy and would have moved the seat back more but I was already up against the back seats. It was comfortable enough to be a daily driver but I for sure would not have this as a daily driver. It would be a waste in LA traffic. The shifts were nice and you could not tell that you were shifting once past the first to second shift. When on it the shifts were crisp and clean with no hesitation. The downshifts are automatically rev matched. The one quirk with the shifting was when you hit the paddle up or down from automatic mode it would switch it to manual mode, it would not actually change the gear. To get it back to auto mode, you just push the selector from auto to manual, the selector was spring loaded so it would always be in auto mode but you could be in auto or manual, it is basically just a switch. I took the car to my friends shop in San Diego to see his two Skylines. I sat in traffic for over two hours, making the trip in just over three. 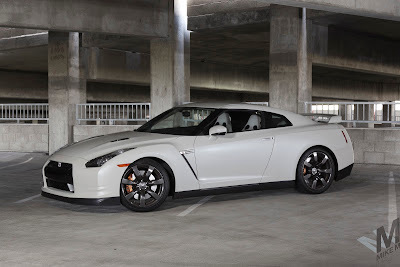 The GTR did not complain or get hot, it dove just like a normal car. When I got there I did not feel beat up, part in fact the rest of the weekend I had the suspension in comfort mode. I took the tour of the shop and was Impressed with what he had. 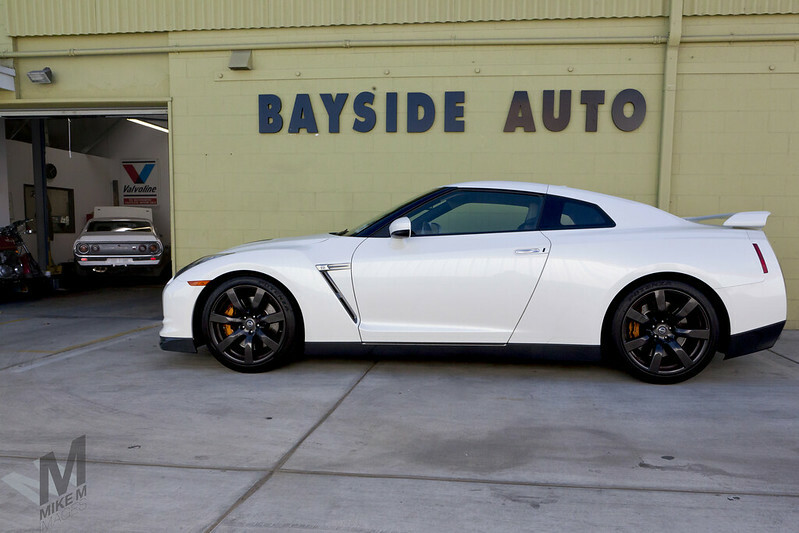 I had to impress him some how to get invited back so I offered a ride in the GTR. We did a quick run up to 65 MPH on the freeway and when we got back to the shop he declared it was the abunai (dangerous) car. I totally agree with this feeling. It can get you in trouble quickly. Would I get one? If I wanted to have a stupid fast car yes. If I wanted to be looked at and seen as a baller no. 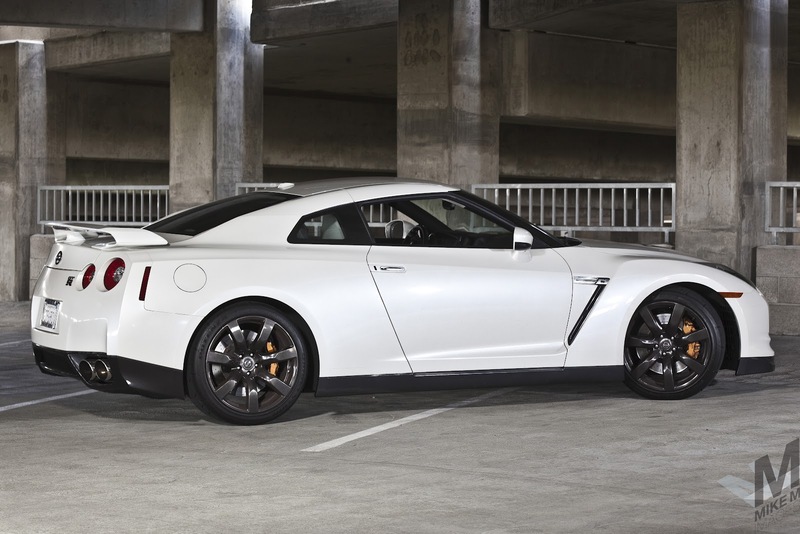 The only people who seem to recognize its a GTR and not a Z are car guys.